651 E. 71st Street S.
*To make a reservation, please call (316) 425-6077 and mention Group Name: Kansas Recreation & Park. *Room rate is valid until April 10, 2019. The Aquatic Facility Operator (AFO) Course is a 2-day training program designed to meet the needs of those working in public and semi-public recreational pool or water park facilities. 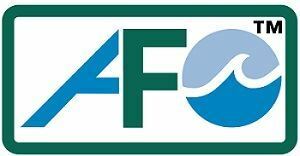 The AFO Course offers unique discussions on risk management and pool management as well as training in proper water chemistry, water chemistry challenges and solutions. The current Aquatic Facility Operators Manual will be sent to each full course registrant prior to the course. Upon successful completion of the AFO Course and 50 question open book exam, participants will be certified for 5 years by the National Certification Board in coordination with the National Recreation and Park Association. Aquatic Directors, Recreation Directors, Water Park Directors, Pool Managers, Aquatic Supervisors, Resort/Hotel/Motel Staff, and any staff member responsible for the operation, maintenance and management of an aquatic facility.